Fia Wrangler seat covers are engineered from original saddle blanket material. It is rugged and made for long lasting performance. Go ahead and enhance your pickup truck, SUV, CUV, or van seats with these high quality saddle blanket seat covers. 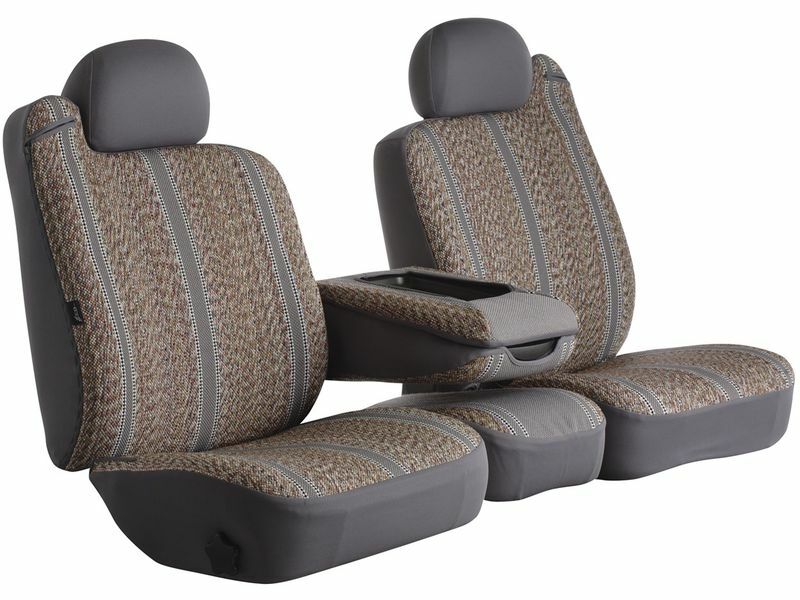 Wrangler seat covers are available in black, grey, wine, navy, and brown to match just about any interior. The seat covers are sold by the row, so make sure to think about picking up the rear set in addition to the front row for the whole package! Featuring the Super GripÃÂ® belt'n buckle fastening system, Fia saddle blanket seat covers can be installed easily and are form fitted to be for your specific vehicle. 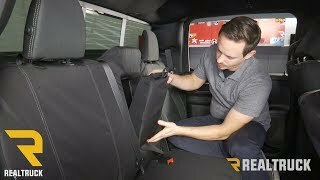 The slip resistant fastening system keeps these seat cover in place and the multi-directional stretch polyester trim molds the cover to the contours of your factory seat. 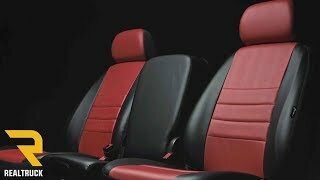 Saddle blanket seat covers will hug the contours of your vehicles seats, includes the middle console, and has openings for your seat belts. This way you get protection for the whole seat surface. You get unmatched protection against harmful UV rays and stains and get that added protection to help keep your vehicle looking great. The Super-GripÃÂ® slip resistant fastening system is engineered to provide original equipment installation in minutes. It's simple - no tools are needed. Multi-directional stretch polyester trim molds the seat cover to the contours of the seat. Velcro fasteners and a belt 'n buckle tightening system are the finishing touches that grip the cover to the seat. For additional information, please call us toll free at 877-216-5446 or 701-253-5906.